​from Presentations & Reports to current efforts and their status updates. - Multiple phone lines are combined to deliver greater down and upload capacity. For DSL only. - There is a catch – not all modems are the same. There is only one you can buy or rent the same. - Know who you get service from, what you are getting from them and what you are actually paying for. - AND don’t forget…learn to deal.Your technician(s) are trying to do their best with what they have to work with. The Need for Speed... and Capacity! We all have the need and many don’t even know it, or how to measure it. As time passes the need increases, we then get left even more behind – really! At 3.2 miles from the local DSL (Consolidated-CCI) Central Office (CO) and with bonded service (note #1 above), my capacity is 2.7Mbps/.7Mbps. Non bonded it was 1.5Mbps/.5Mbps, though CCI provides unlimited data! The only other reasonable option is HughesNet "Gen 5" – with a minimum 25Mbps/3Mbps but with data cap levels which when exceeded lower the capacity to my DSL level. I'd tested the 10 Gig data service (cost more than CCI) and used the 10G of data in under 2 days. For 4K streaming, Netflix estimates 7 gigabytes an hour. Netflix recommends a 3Mbps connection for one (1) standard-quality stream & 5Mbps for a high-definition (HD) stream (up to 1080p). Two (2) simultaneous HD quality streams would need around 10Mbps, and so on. For 4K (UHD) Amazon recommends at least 15Mbps, while Netflix advises 25Mbps. If other devices at home occupy your bandwidth, 15 or 25Mbps will not suffice. Online video games don't require much bandwidth to play but downloading a game or other huge file can take a lot of bandwidth. Netflix and Amazon want your business and for you to be happy. Internet provider data caps (e.g. Cell Phones and HughesNet) drive the costs up. In less than five (5) years - when the next TV technology comes out or the need for more advanced systems is released and you want or need it…. you better be thinking Fiber! 100-200Mbps will not be enough. Cable TV is not gonna cut it nor is DSL – both rely on copper. The speed you sign up for isn’t always the speed you get. You can get up to the listed speed but the available bandwidth can be affected by other household network demand, your own hardware and your provider’s infrastructure quality, among other factors. While download speed is often a major criteria, upload speed can be just as important. Upload photos, videos? Uploading large files with slow/low upload speed/capacity can slow down your download or even lock up your modem. So Where is Consolidated (CCI) in Blue Hill? Service beyond <1mile from any location is below 25Mbps/3Mbps and is not considered Broadband by the FCC or ConnectME! Ellsworth Road (172)– No RT! Remote Terminal (RT) - Falls Bridge Rd. near South St.
Bandwidth vs. distance: Longer the distance between the remote terminal (RT) & the subscriber, slower the max possible data rate due to lower frequencies being used to limit total attenuation (or higher # of errors at higher frequencies, effectively lowering overall freq./data rate). Rough guide follows - wire distance (based on 0.40 mm copper & ADSL2+ technology) & max data rate. Local conditions may vary, especially beyond 2 km, often necessitating a closer DSLAM. The graphic above serves to depict all the roads on which Charter Spectrum is located (blue lines) and the location of CCI transmitting offices/terminals for DSL. 1. Being on a road can not be assumed to mean service is available, as any residence over approximately 150 ft. from the road would have to pay to have wire extended to their building at approximately $20,000 per mile. 2. Not all roads are fully covered their entire length. 3. No road in Blue Hill with Spectrum on it has 100% coverage for all residences or businesses, even those where it travels the entire length (i.e. Parker Pt,, Salt Pond & Falls Bridge roads). 4. Spectrum will not state how many homes and businesses they serve in Blue Hill - only how many they "pass by." 1. Signal drop from a CO or RT is noted above. 2. CCI does not provide FCC/ConnectME broadband beyond 1,000 feet from those locations. 3. Anyone within approximately 3 miles of a CO or RT will get basic internet (DSL) if it is on a sending leg from that location. 4. Not every home in Blue Hill has even basic wired internet access (i.e. some have none at all). The total is not specifically known, but it is estimated that approximately 150 do not - of the approximately 1,500 building units (10%). 5. CCI will not state how many homes or businesses are not served by basic DSL. 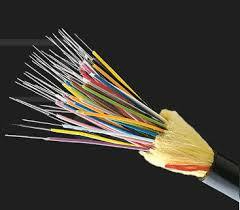 Note: This fiber is not for home use and CCI's business model does not enable that. e. Mountain Rd. (servicing the tower on Blue Hill Mtn. Note: Fiber goes through the Village of Blue Hill to connect to the roads named above. The following file is a basic Introduction to Broadband and how working together (i.e. the PUB) can help. It is not intended as a standalone file and some clarity is needed in some areas - specifically the last page, which does present an accurate picture of who/what does or could serve the area with basic information for each. More to come. The following document was completed as an overview tool, with limited local survey participation (107 of approximately 1600 homes). It should not be used for technical, financial or detailed expansion related decisions. Some statements made overstate the reality in Blue Hill and how coverage is depicted (i.e. circles for coverage) is misleading and inaccurate - at best. Coverage assumptions for copper service should always be made based on road/pole mileage - not circles! Other issues with the assumptions made in the document should be of concern as well - to include the fact that it sets no baseline broadband standard to measure from (i.e. FCC, ConnectME or otherwise - e.g. 25Mbps/3Mbps). A locally developed document - to more accurately provide and depict coverage - will be posted when completed May 2019.